NCIS: New Orleans: The Third Season isn’t much of, if any, improvement of its previous two years as the writing is still subpar and acting not much better. On the plus side, and only because I’m a fan, I did like the inclusion of Vanessa Ferlito and will at least give the fourth season a chance. Season Synopsis: Protecting America’s wildest party town is a full-time job for this elite crime-fighting unit. Nothing will stop special agent-in-charge Dwayne Cassius “King” Pride (SCOTT BAKULA) from defending his beloved city, with the help of reliable right-hand man Christopher Lasalle (LUCAS BLACK) and unstoppable undercover expert Sonja Percy (SHALITA GRANT). As the field agents hit the streets, their evidence is analyzed back at bas by digital security expert Patton Plame (DARYL “CHILL” MITCHELL), skilled medical examiner Dr. Loretta Wade (CCH POUNDER), and idiosyncratic forensics specialist Sebastian Lund (ROB KERKOVICH). As the team copes with a rogue sniper, a cartel’s conspiracies, and a deep sea oil rig primed to explode, they face a new crisis that hits closer to home. In the wake of betrayal compromising agent Tammy Gregorio (VANESSA FERLITO), a hard-charging New Yorker who makes a fierce friend and a tireless foe. The team will never be the same. Quick Hit Review: When it comes to procedural dramas, and the NCIS franchise in particular, I’m usually forgiving of convoluted stories but with this third incarnation, NCIS: New Orleans now entering its third season, still hasn’t really found a foothold for me. 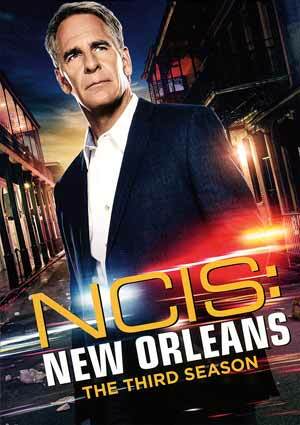 Part of it is just lousy writing and another is the performances basically all around, even the venerable Scott Bakula doesn’t seem at ease in the lead, not to mention a thick New Orleans’ accent that feels unnatural for some reason. This season also sees a change with the main cast as Zoe McLellan’s Meredith Brody character exits (the actress apparently wanted to spend more time with her family back in Los Angeles) and to the writer’s credit in this instance, they at least make her absence a key point for the plot as D.C. has the New Orleans office under review. Replacing McLellan is Vanessa Ferlito, a name and face familiar to fans of CSI: NY as well as USA’s Graceland, a show I never bothered with. Not really sure what to make of the character but as I said before, it’s not as if the dialogue or writing in general is top notch, but being a fan of hers, she at least brings an extra punch, not to mention she’s not carrying a fake New Orleans accent. The 6-disc set is housed in a standard DVD case and slides into a matted slip cover. Opening Pandora’s Box (12:14) is a look at the cross-over two-part episode that began on NCIS and concluded on NCIS: New Orleans. NCIS: New Orleans Season 3: Let the Good Times Roll (28:03) extensively delves into the storylines of the third season of the series and furthering the characters arcs. The New Girl in Town (8:21) profiles the entrance of Vanessa Ferlito and her character. Propping It Up (4:22) looks at the props department. It Takes a Video Village (4:57) is about those who work behind the scenes like the first assistant director, gaffers, and others talking about what they do. 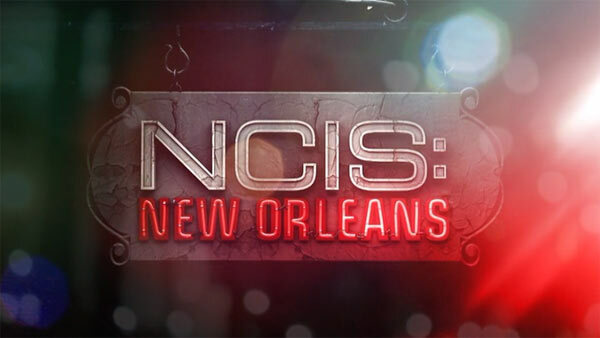 Paramount releases NCIS: New Orleans in its original televised anamorphic 1.78 widescreen aspect ratio and the show looks pretty darn good taking advantage of the bright colors of the Crescent City. There’s some minor aliasing but nothing terrible and detail for standard def is decent. Each episode is accompanied by a Dolby Digital 5.1 track which more than gets the job done offering clear dialogue while the more action-centric scenes as well as the occasional explosion provides some depth, though it’s not entirely robust but for a lossy track, it’s above average. Overall, NCIS: New Orleans: The Third Season isn’t much of, if any, improvement of its previous two years as the writing is still subpar and acting not much better. On the plus side, and only because I’m a fan, I did like the inclusion of Vanessa Ferlito and will at least give the fourth season a chance. This DVD release includes great video and audio transfers and an average selection of bonus material.